Tips for Creating Inspiring Facebook Timeline Profile Image has some marketing strategies behind. Because it reflects your or your page’s overall attitude. Just like Web Designing, Tips for Creating Inspiring Facebook Timeline can increase your brand image and conversion rate. Even if your target is not directly related to marketing, Tips for Creating Inspiring Facebook Timeline can work for creating a neat and unique profile of you. The first thing is that, you need a Facebook Timeline Template Plus Full Guide to use Facebook Timeline. Second thing is, you can use Videos for Facebook Timeline, if you are not aware of this feature. Third is, you need a powerful image editor, preferably Adobe Photoshop. If you do not have Adobe Photoshop, you can download the 30 day trial with all the features from official website or can use any of these softwares listed in Free Photoshop Alternatives for Windows for Image Editing,Manipulation. This ends the basic tips for creating inspiring Facebook Timeline. Let us move ahead to make your profile looking brilliant. This Article Has Been Shared 2848 Times! 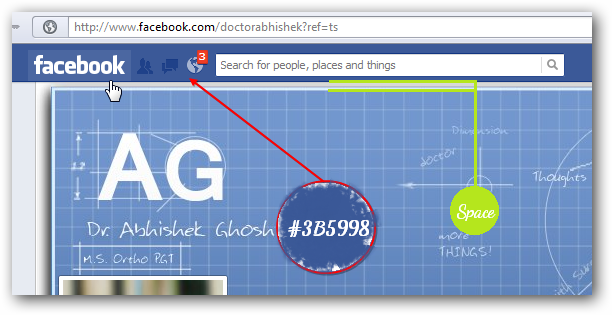 Cite this article as: Abhishek Ghosh, "Tips for Creating Inspiring Facebook Timeline Profile Image," in The Customize Windows, August 25, 2012, April 25, 2019, https://thecustomizewindows.com/2012/08/tips-for-creating-inspiring-facebook-timeline-profile-image/.